Today I'm wearing these Polly Leather Court Shoes. 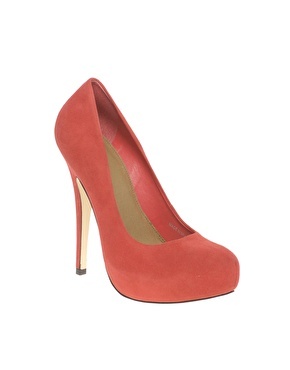 I bought them in a gorgeous coral pink suede leather, but they also come in black and taupe. They're so comfortable - and a perfect classic shape with a concealed platform, stiletto heel and almond shaped toe - I'm considering snapping up the other two colours too... Have I mentioned that I quite like ASOS?